Philadelphia, PA – This spring, “the play’s the thing” as The Philadelphia Shakespeare Theatre brings its professional touring production of Hamlet to life in schools, universities, and community centers across the Greater Philadelphia region and beyond. With over 20 years experience of perfecting Shakespeare on stage and inside classrooms, The Philadelphia Shakespeare Theatre will immerse audiences in a 90-minute touring production of Shakespeare’s greatest play, Hamlet, directed by Artistic / Executive Director, Carmen Khan. The “All the World’s A Stage School Tour” will run Monday through Friday, April 17–May 5, 2017, and will feature a post-performance talkback with the actors. 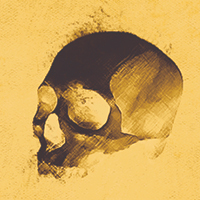 Following a successful school tour run, The Philadelphia Shakespeare Theatre will present Hamlet, in partnership with The Free Library of Philadelphia, for a one-night only public performance on Wednesday, May 10, from 7pm-9pm. The public performance will be held in the Montgomery Auditorium at The Free Library of Philadelphia, and will include a post-performance discussion with the actors and Shakespeare Scholar-in-Residence, Dr. Annalisa Castaldo, about why Hamlet matters and why we should continue to share the play with younger generations. General admission tickets are $15 each, and can be purchased via The Philadelphia Shakespeare Theatre’s website. The talented cast features Josh Kachnycz as Hamlet, William LeDent as Claudius, Danielle Foley as Gertrude, Jenna Kuerzi as Ophelia, Aaron Kirkpatrick as Polonius, and Ned Pryce as Horatio. Hamlet is the most studied, most performed, and most adapted of Shakespeare’s plays by far, possibly of any play ever. There are many explanations for the centuries of popularity, but in the end it comes down to the fact that Shakespeare managed to somehow pack all the ambiguity, complexity and messiness of real life into a story, without losing the narrative structure and focus a story requires. The play deals in grand, universal themes: coping with loss and betrayal, the need to know the truth, the complexity of human desire, the parent-child relationship — and it examines those themes in human sized form. Carmen Khan is the Artistic / Executive Director and Founder of The Philadelphia Shakespeare Theatre. Carmen holds a Bachelor of Education from The University of London, England, and a Master of Fine Arts in Acting from The Catholic University of America, Washington, DC. For seven years she was a company member of the esteemed Hip Pocket Theatre in Fort Worth, Texas, where she worked as an actor, dancer, and mime in over twenty six productions. Khan was the co-founder of The Laughing Stock Theatre, an all-comedy theatre, and Artistic Director of The Red Heel Theatre, which was devoted to the little-known classics of the Jacobean era, both in Philadelphia. The Philadelphia Shakespeare Theatre was founded as The Red Heel Theatre in 1989, initially focusing on the little known classical works of the Golden Age of English theatre. In 1993, Carmen Khan became the Artistic Director of Red Heel, and in 1996 she focused the company’s efforts on the works of Shakespeare and renamed the company. Since then, The Philadelphia Shakespeare Theatre has spent the past 20 years intensively and exclusively focusing on the works of William Shakespeare. In that time, The Theatre has produced 58 Shakespeare plays reaching over 110,000 audience members, and over 100,000 students through educational outreach programs that include: in-class Shakespeare residencies, touring productions, Classical Acting Academy, Shakespeare Camps, Shakespeare In The World Lecture/Performance series, and youth workshops. The Theatre’s programs and productions have garnered numerous Barrymore, Falstaff, Philadelphia Critics, and Philadelphia City Council Awards and nominations, as well as articles in prominent journals, major newspapers, and consistent critical acclaim for producing world-class Shakespeare productions that put the focus on the drama of Shakespeare’s text. The City Council of Philadelphia also passed a resolution honoring The Theatre for excellence in performance and educational programming, recognizing the impact The Theatre has made on Philadelphia’s cultural landscape and particularly on its high school students. Our Mission: Through the engagement with and performance of Shakespeare’s text using a unique artistic methodology, we create matchless and transformative experiences that empower audiences of all ages to expand and challenge their worldview.